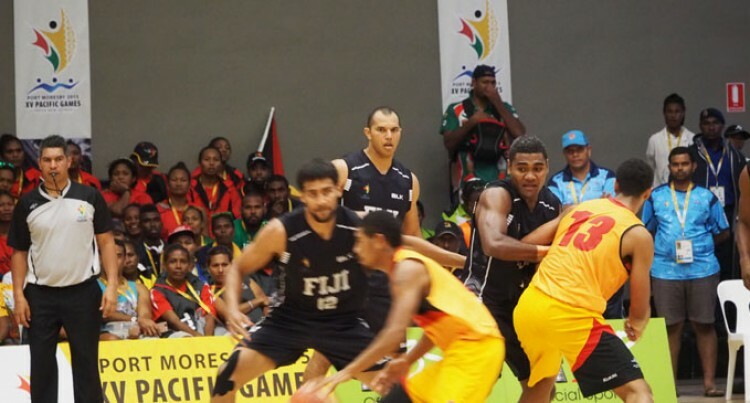 The Fiji men’s basketball team defeated Papua New Guinea 82-52 in the second semifinal at the Sir John Guise Stadium last night. The win has also given the chance for the Fijians to qualify for the World Championships Asia qualifiers which will be held later in the year. Pressure mounted on the Fijians in the first quarter but the Marques Whippy-captained side enjoyed most possession and led 21-14 in the first quarter. They continued momentum in the second quarter having advantage of experience players with the likes of Whippy brothers Marques, Leonard and Waymann Whippy, Joshua Fox and Pita Sowakula put together a good combination of tactics which was too much for their Melanesian brothers to handle. The Fijians remained cool and collected in the last two quarters. Fiji finished the game in a magnificent style winning 82-52. Juju, Rotuma native Joshua Fox said PNG was a great team.